Should the Saints Bring in Marcus Mariota? Over the next three weeks, FishDuck.com Feature Writer Caleb Couturie will be analyzing the 25 teams in the NFL Draft that may look to select Marcus Mariota. As a lifelong Saints fan, and now of course a lifelong Ducks fan, I must say I’m a little biased with this one. ARE YOU FREAKING KIDDING ME? OF COURSE I WANT MARCUS TO GO TO THE SAINTS. If Brees truly cares about the Saints, and the organization’s future, he’ll understand if management decides to make a move for Marcus Mariota. New Orleans trades: 2015 first, 2015 second, 2016 first, 2016 third, 2017 first and 2017 third picks. Tampa Bay trades: No. 1 pick. The Saints are in the middle of a salary cap nightmare, so losing all those picks would hurt the team a good amount. Not only would they be losing out on a chance to sign young talent, but they’re missing out on cheap young talent. This off-season the Saints will be working hard to restructure contracts and make necessary cuts to get their cap under control, and trading up to get the No. 1 pick definitely won’t help their situation. For them, it’s all about desire. If the Saints were to feel strongly enough about Mariota, which there is a chance they might, they could pull the trigger on this. Sean Payton is an offensive-minded coach who loves to develop schemes to play to a player’s strengths, and with New Orleans running so much of their offense out of the gun, Mariota should do just fine while he adapted to their system. For Tampa Bay, adding the bonus picks from their division rivals is both satisfying and logical. Tampa Bay needs to beef up their depth at more than just QB, so they could afford to miss out on taking Mariota or Jameis Winston this year if they worked hard to fill their other needs with all the bonus picks. Great. Again, I’m biased here so take that as you will, but the Saints are just a generally excellent team for a young QB to join. Not only would Mariota have loads of talent surrounding him (Mark Ingram, Jimmy Graham, Marques Colston and Brandin Cooks for starters), but he’d have one of the brightest and most successful offensive-minded coaches working with him. Payton’s relationship with Brees is partially why the Saints have seen so much success over recent years, and that relationship is no fluke. Payton loves to work with his QBs very closely, and if he truly thought Brees needed a replacement soon, then he’d love to get a guy like Mariota who already has excellent leadership skills and a high football IQ. Plus, one of Mariota’s biggest weaknesses is his accuracy with his long ball. Very few QBs in the league throw a better long ball than Drew Brees, so if Brees could mentor Mariota he’d be able to polish the rough edges of Mariota’s game and transform him into a truly dominant NFL QB. No way. 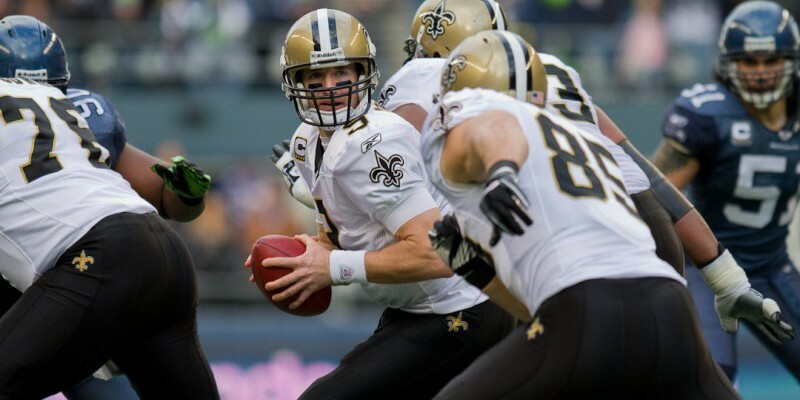 Drew Brees will be the Saints starter until the day he stops throwing for 4,900+ yards in a season. However, if Mariota were to pull a Brett Favre/Aaron Rodgers type deal with Brees, then in a few years the Hawaiian could not only be ready to take over as Brees’ replacement, but he’d be a force to be reckoned with.